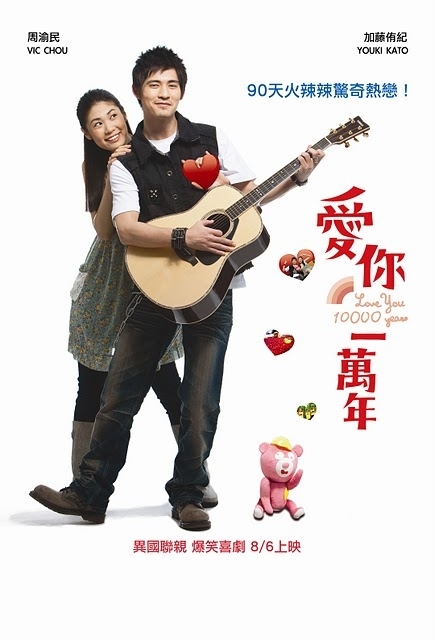 Wu Qi Feng (Vic Chou) is a lead singer in a local rock band called "Monkey Electric Boy Band" and based in Taichung. Joining him in the band are Da Dou (Huang Deng Hui), Xiao Ji (Li Bo En) and Ah Yan (Chen Shan). Previously Wu has been unlucky in his love life, and has never dated any girl longer than three months. Sakurada (Kato Youki) is a Japanese girl who is on a three month visit to Taiwan after breaking up with her boyfriend to study Chinese at a language center. One day she has a brief affair with Wu and later he requests her to sign a contract to be his girlfriend for 90 days and she agrees. One of the condition of the contract is they must get separated after 90 days. However, after getting know each other quite well, both find that the relationship seems to be true love and both are unwilling to break the contract agreement as the dateline approaches. What is the outcome of their love story in the end?